At Coast Sport we are passionate about working with local community events and teams! Coast Sport Directors, Brett Doring and Matt Cranney have been selected as Sports Physiotherapists to help out at the Commonwealth Games on the Gold Coast, Queensland this year. Brett will be supporting the Australian Swim team. Brett Doring is regularly on tour with the Australian Dolphins Swim team and Paralympic team helping to keep the athletes well- tuned and in top condition. The Raw Challenge at Doyalson on the Central Coast is regular event held in March and September, and is proudly supported by Coast Sport. The Coast Sport team offer free physiotherapy assessments and express massages on the day during these events, so make sure to visit the Coast Sport tent. Click the link below to book into the Raw Challenge at the Doyalson! It is important to consider how to best prepare your body for the tricky terrain to avoid injury, and how to best recover post-race. Check out our top tips here. 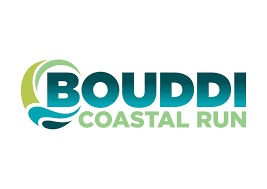 This highly popular local event involves a spectacular 14km and 21km trail run through the Bouddi National Park, the course takes in the sites of Putty Beach, Gerrin Point, Maitland Bay, Bouddi and Bombi Point. With cliff top views of the unique Marine Park and natural beauty of this area, it's one not to be missed. Coast Sport are proud partners and are available onsite at the event providing FREE express massages for runners. Read Coast Sports ultimate trail guide here. Coast Sport is a proud partner of the Mingara Relay for Life, and the Midnight 5km run. Usually held in November, Relay for Life is a fun and moving overnight experience that raises vital funds for the Cancer Council's research, prevention, information and support services. It is a chance for the community to recognise and celebrate local cancer survivors, patients and their carers, and to honour and remember loved ones lost to cancer, while raising money for vital cancer research, prevention and services. By registering to run, you are helping to support Cancer Council NSW local services as part of Relay for Life. Coast Sport provide massage and physio services throughout the duration of the event for participants along with useful tips and resources for relayers to help them get the most out of the event. Read our tips for preparing for the Relay here. The popular running event offers a half marathon (21.1km) as well as a 10km fun run that starts and finishes at The Entrance, NSW. Coast Sport is a proud regular supporter of the event, and are there on the day offering free express massages and Physio assessments to registered runners! Read our tips for preparing for the half marathon here.